Both accounts have spawned and farmed 35c monsters and an assortment of 32-34s and GS 600-650k. I have been playing them together for 3 years and can juggle them just fine. I can typically make 3/3 for ranked events, exhibition attendance would depend on the habits of the guild. I love raid, so bonus points if your guild makes a big effort there. Preferred mode of communication is Line. The company of other adults and active, friendly chat are a major plus. Looking for S rank, active, competitive enough to put in the effort, laid back enough not stress about it, basically I'd like to have fun, win or lose. Last edited by Lyssa; 01-03-2019, 10:16 AM. If you want to be welcomed with both acounts, Well... Send note to my leader. We don't really have a communication, Its either on game or Discord. 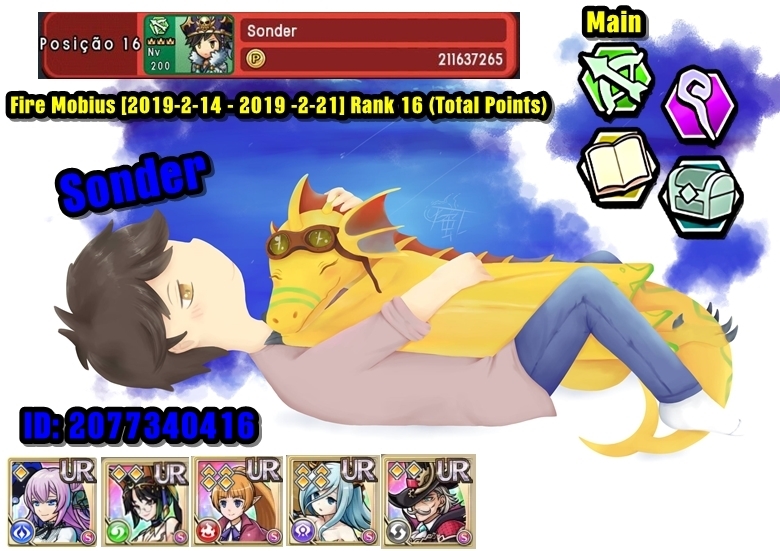 Last edited by BlueDragonSonder; 01-03-2019, 02:58 PM. Thanks, but the main thing I'm looking for is something that is active. Lyssa No problem, Then i wish you luck to find what you want.